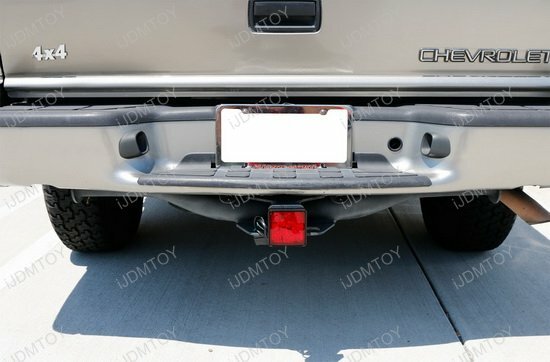 Q: Will this tow hitch LED light fit my trailer hitch? 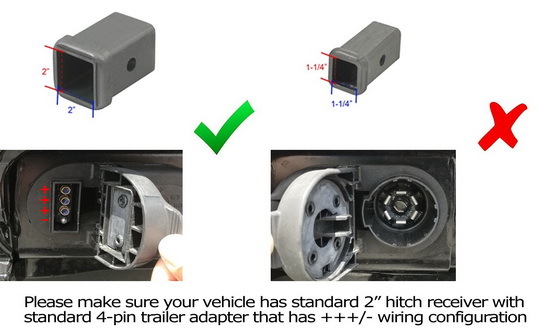 A: The tow hitch mounted LED tail/brake light can fit any 2" standard size trailer hitch receivers. This will NOT fit a 1-1.25" trail hitch receiver. 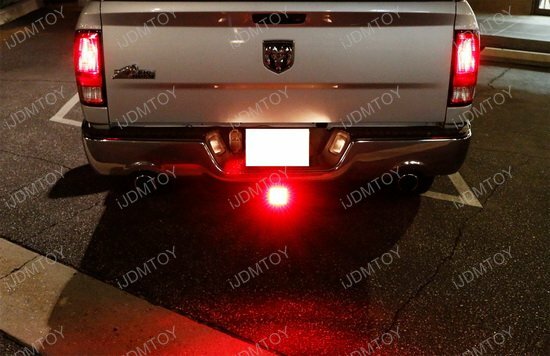 Your truck or SUV must also come with a standard 4-pin trailer adapter for the LED brake light to power. If it does not, you will have to purchase a 7-pin to 4-pin adapter. 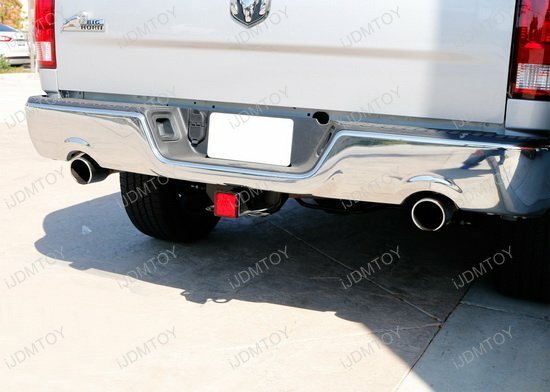 Q: How to I install the trailer hitch LED brake light? 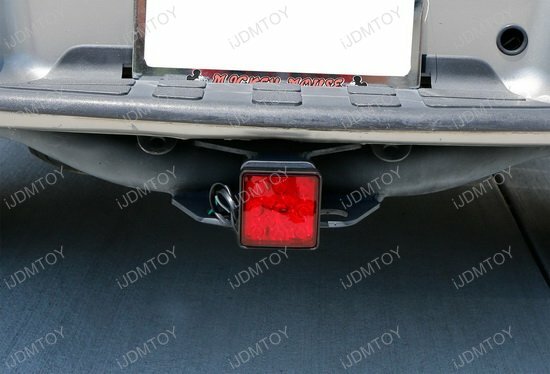 Q: Why does the LED brake light fit the tow hitch but feels loose? A: The tow hitch mounted LED brake lamp is only secured by the tow hitch lock to make sure that it does not fall off. 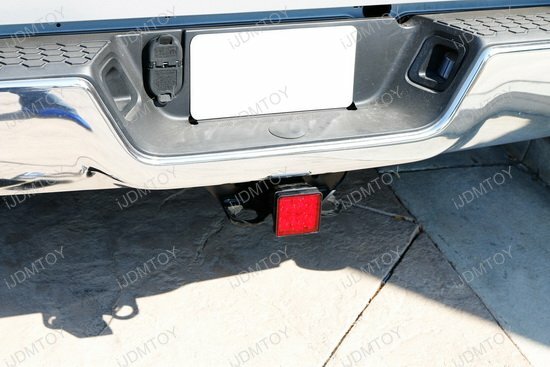 The tow hitch lock is not meant to completely tighten the LED brake light to the tow hitch. 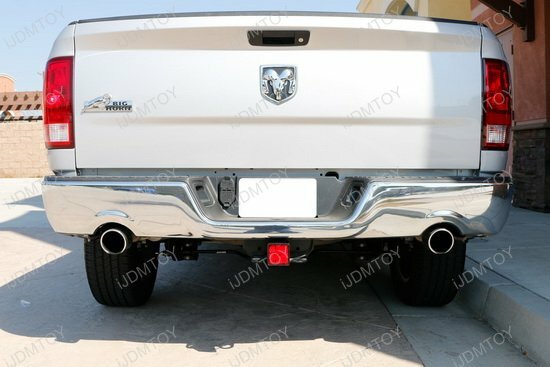 There are some foam pads in the inner side of the tow hitch cover, but if you feel that you would like the tow hitch cover to fit more snug, you can always add some foam to hold the tow hitch cover in place. 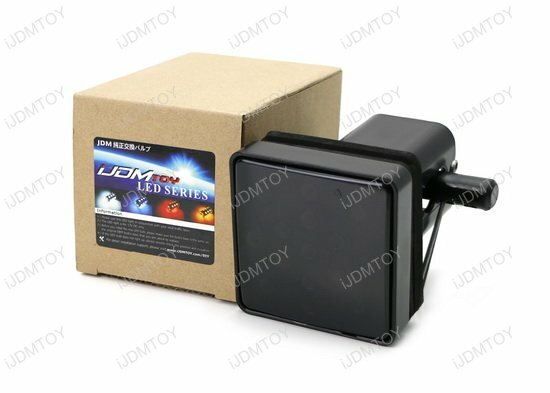 Q: Why does the LED brake light not light up after I plugged in the adapter? 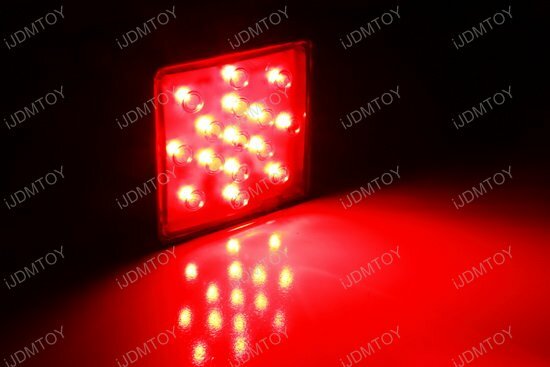 A: For this LED tail/brake light to light up, the 4-pin adapter must have a +++/- configuration (+ for running, left and right turn signals; - for ground). In some rare cases, the stock vehicle's positive/negative are reversed (---/+). Since the LED assembly is polar sensitive, the reversed polarity will cause the LED to not light up. 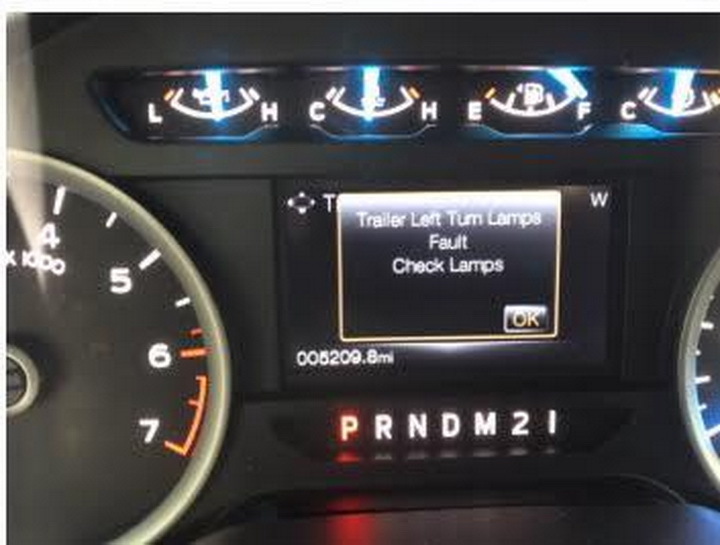 Q: Why does a message asking me about a trailer mode pop up on my dashboard computer after I installed the rear LED brake light? A: Newer trucks like the 2018 Ford F-150 can detect if the power socket under its tail gate is in use. 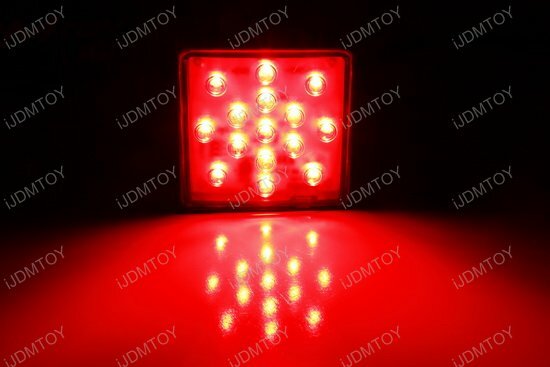 Plugging in the 15-LED brake light will trigger this turn lamp fault message which is completely normal. 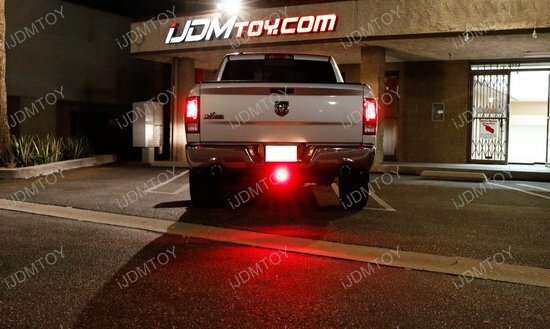 There is no error on your truck's or the LED brake light's part. You may either disable trailer mode when the prompt comes up or ignore the message. 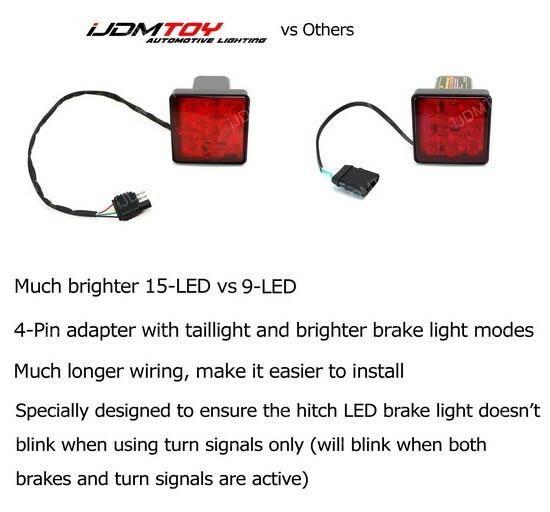 Q: How do I test the tow hitch LED brake light? A: Connect a ground wire to the black wire socket. This is the socket encased in black. 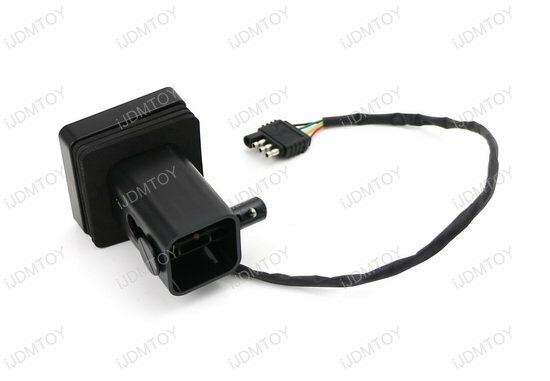 Test the dimmer running light mode by connecting a positive tail light wire to the green wire socket. Connect turn signal wires to the yellow and red wire sockets. These two wires control the left and right turn signals respectively. 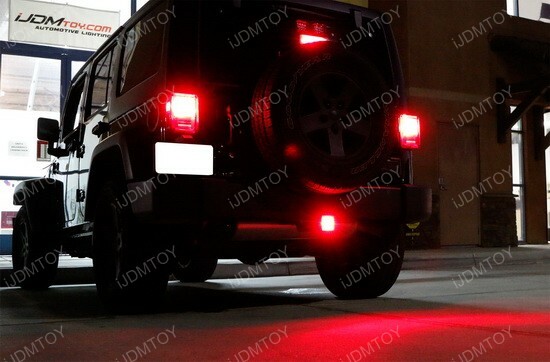 Tapping a single turn signal wire to either socket will not make the LED tow hitch brake lamp light up. 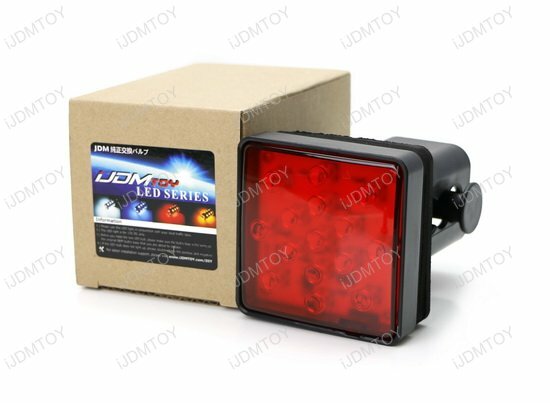 This is to prevent it from flashing along your turn signal lights. 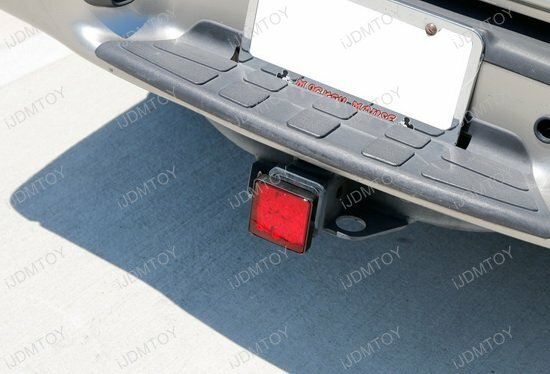 This page features a super bright, 15-LED brake light for the trailer hitch cover that provides added safety when the tow hitch is not in use. 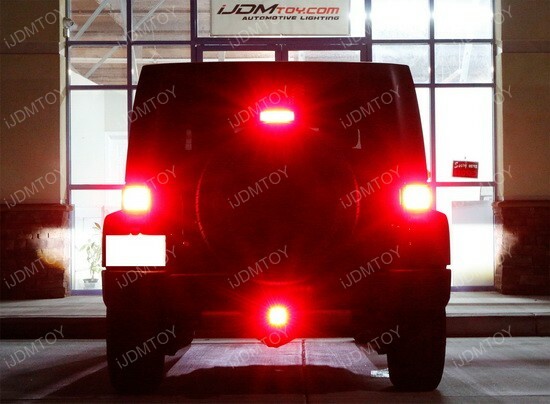 The lamp size is a convenient 3-1/4 x 3-1/4 inches to fit 2" standard tow hitch and functions as tail/brake light or rear fog light. The lamp comes with foam lining in order to ensure that the fit is snug and secure. 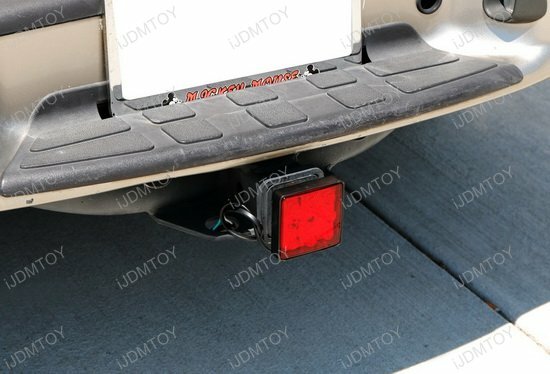 Use Notes: The trailer hitch mounted LED tail brake light will not blink while your turn signals are exclusively in use. However, it will blink if both your brake lights and your turn signal lights are active. 4.5 of 5 Total Reviews: 66 Write a review. 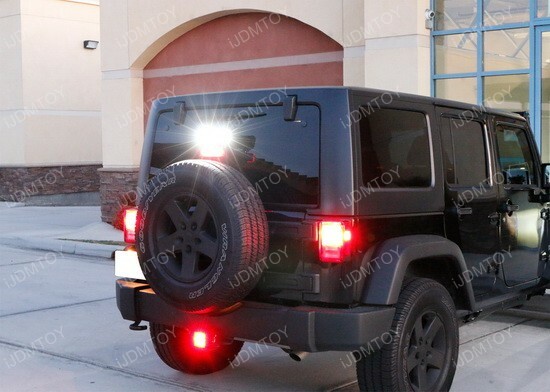 Installed the smoked lens LED brake light on my 2015 Jeep Wrangler JKU with ease! Secured tightly to the oem tow hitch and I didn't need to modify the wiring harness to plug it in. Good product. Very impressed with the updated version. Looks good. 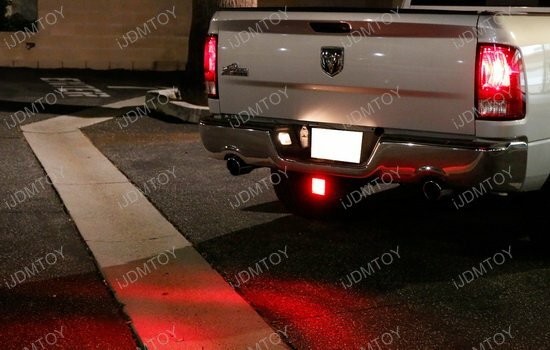 I absolutely like this LED brake light¡­..what a wonderful idea.....adds an extra running light in the back.....GLAD I found this !! !